This is my latest creation! I would really like to know what everyone thinks:) I have put a swivel clasp inside this purse for keys, and a magnetic snap closure. 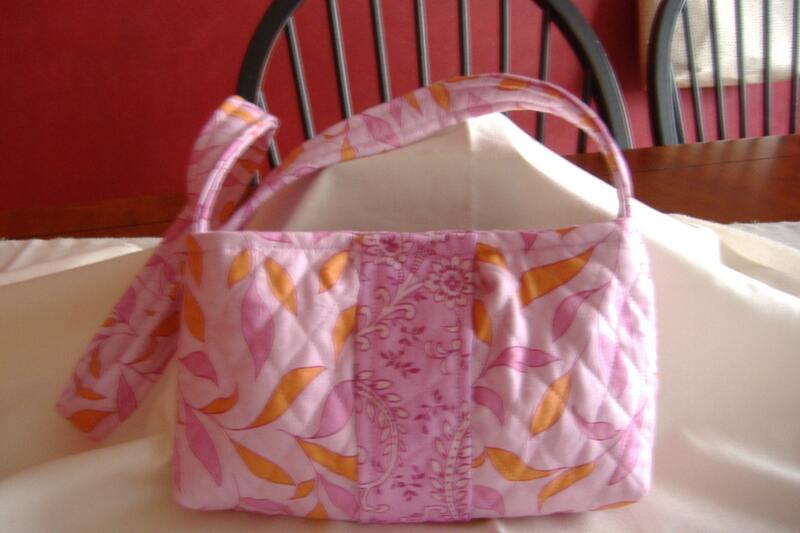 This purse is made of cotton quilted fabric and is also lined with a cotton quilted fabric (same fabric as the accent stripe) so this purse is super durable!! I made this without a pattern:) Let me know what you think! I like the quilted effect and I love the colours! It looks great - and without a pattern too! !